Root Micromax Canvas Fire 4 A107 . 1 Root Micromax Canvas Fire 4 A107 . 1.1 How to Root Micromax Fire 4 A107 – Without Computer not possible . Want to Root Micromax Canvas Fire 4 A107 But Not Finding A Genuine Guide To Root Canvas Fire 4 A107 Dont Feel Bad , We Will Surely Help you to Root Your Micromax Fire 4 A107 With the Easiest Method Available . just For Information , Micromax Canavs Fire 4 A107 is the Latest Device Launched From micromax ltd This is the Only micromax Device Which Runs On Android 5.0 Lollipop Direct out From The Factory . According To Sources This Device Was Launched To Give Competition To Redmi 1s And Lenovo A6000 , But To Be very Frank Redmi 1s And lenovo A6000 is far better Then These Devices As Per me . Because We get 5 inch Screen Size and other Specifications Too and In Lower price Tag Which is only 6000 Whereas Canvas Fire 4 Carries A price Tag Of 6700 . However This Was my Thinking on Micromax Canvas Fire 4 A107 And This Also Doesn’t Mean That This Device is bad or Waste Of money . Micromax Canvas Fire 4 A107 Is Surely A game Changer because you Can buy The Device Directly From online , no tension Of registration No Tension Of Flash Sales . 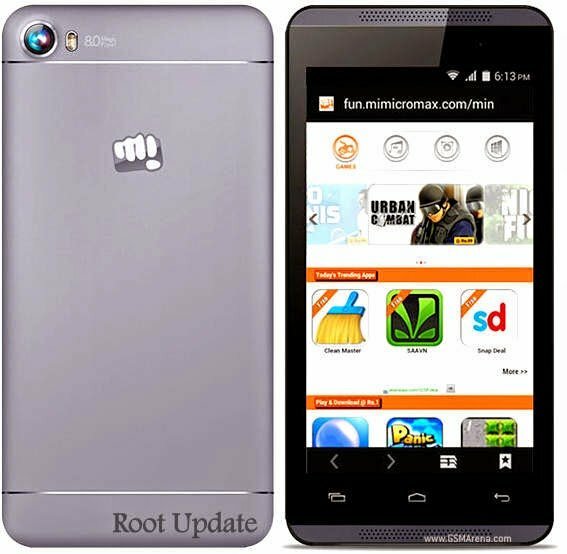 How to Root Micromax Fire 4 A107 – Without Computer not possible . As The Device Runs On latest os Android lollipop , So upto now There is No Such Software Available Which help You To Root Micromax Canvas Fire 4 a107 Without Computer , So We Will use A pc or laptop to Root The Device . There Are No Special Requirements in Rooting Micromax Canvas Fire 4 A107 All you Need is a Pc Laptop Or Computer . There Are Certain Chances Of Bricking your micromax canvas Fire 4 a017 While Rooting procedure , So Do Follow this guide At your own risk We are not Responsible For Any kind Of Damage Caused . We Will Use Kingoroot To Root Fire 4 , This is the Only Software Available According to me Capable in Giving Root Privileges To Android lollipop Devices , usually we recommend our Users To Install The ADB Drivers But This Time we will Not Say Because kingoroot Software is So smart That it Will Automatically Start Downloading The Drivers Of Your Phone . After Detecting micromax canvas Fire 4 , The Kingoroot App Will Automatically Start Downloading essential Drivers Needed to root The Device . After The Successful Detection Click On ROOT NOW button And After Sometime You Will See Successful Rooted pop up Message, Which means you Have now Successfully Rooted Your Micromax Canvas Fire 4 a107 . Now Make A Reboot of Your Device , And you Will notice that an app Named Super su is Automatically installed In your app Drawer ,which Atlast Confirms That Micromax Canvas Fire 4 is Successfully Rooted . Hope Our Guide On How To Root Micromax Canvas Fire 4 A107 Helped You In rooting Your Canvas fire 4 Without Any problem .